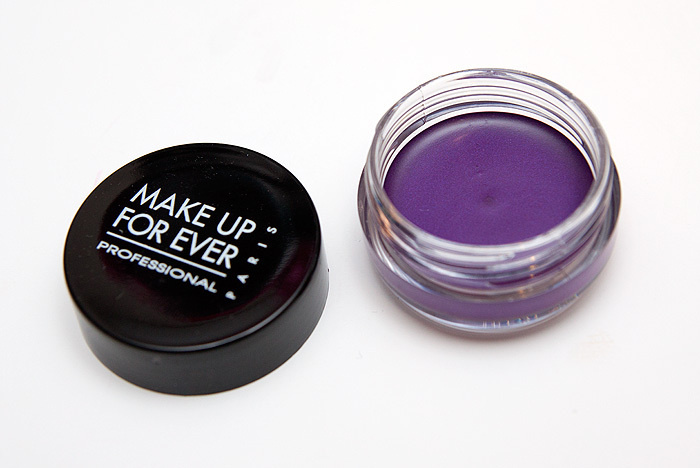 Make Up For Ever Aqua Cream in #19 – Pretty Purple! And so my MUFE Aqua Cream collection grows because I wasn’t able to help myself when I saw a swatch of Aqua Cream #19 and couldn’t stop thinking about it for weeks afterward! 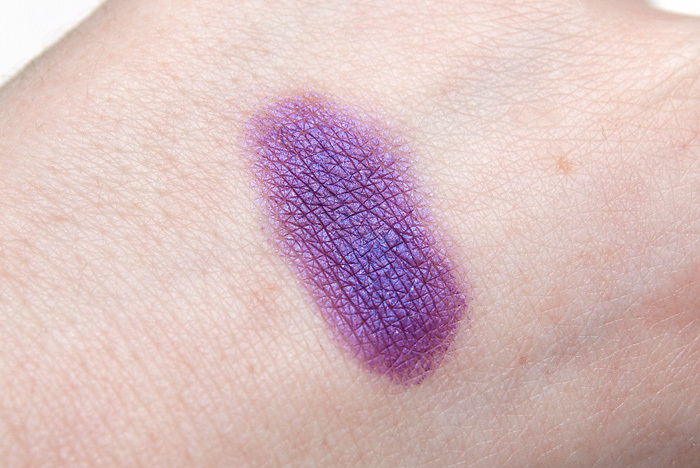 MUFE Aqua Cream in #19 is a blue-toned purple with an almost electric quality. Like most Aqua Creams, it can be a bit tough to blend and I’d recommend applying it more as a base than an independent eyeshadow. Unless you got the skillz of course. And if you have? Come show me how to do it! Lasting power is more than adequate on my lids, without any primers I get around 7/8hrs before creasing… the more heavy handed I am with it, the faster the product heads for my creases. I particularly enjoy pairing this one up with NARS Ashes to Ashes eyeshadow, creating a KILLER violet-taupe from the combo. Do you own any MUFE Aqua Creams? Oomph, this looks *gorgeous*! It almost makes me think “blue duochrome on a red-violet base,” which… well, which pretty much just makes my day. And 7-8h of wear without creasing? I die! This actually reminds me a little of MUA shade 9… except this looks a little more on the shimmery side and by the sounds of it is a lot longer lasting. Wow, that’s so lovely. It looks so different on skin than in the pot. Wow, that’s so lovely. It looks so different on skin compared to in the pot. I really like that this looks like it has a bit of blue flash. Is that my imagination? That’s an awesome purple! I have aqua creams in turquoise, golden copper and emerald green.